Old Fourth Ward (O4W) Patrol is a privately funded, membership- and sponsorship-based neighborhood public safety patrol focused on addressing Old Fourth Ward security and quality of life issues. 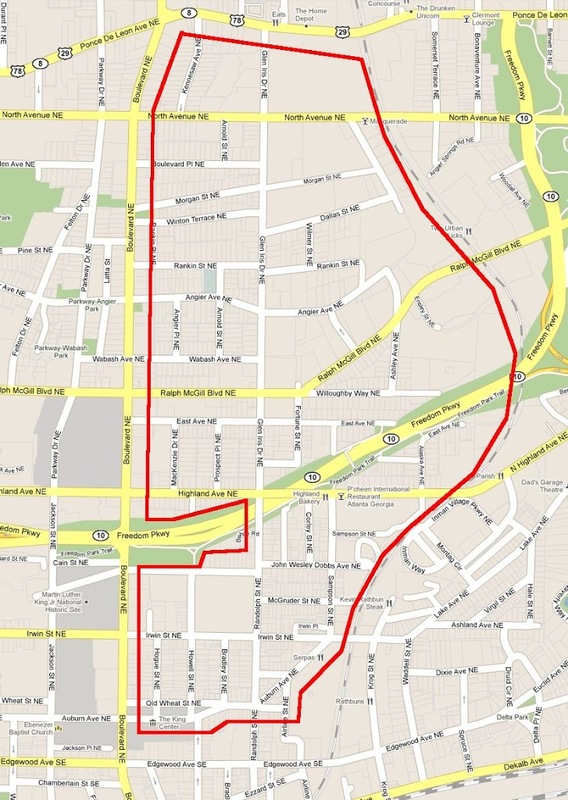 Click the image above to see the full O4W Patrol Coverage Area. 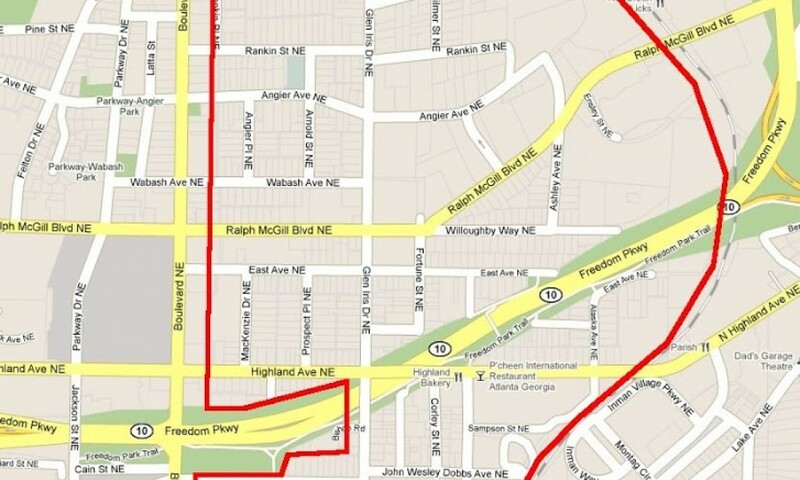 O4W Patrol launched patrol services May 1, 2011 in the eastern half of O4W bounded by Ponce, Boulevard, Auburn and the BeltLine (see map at left). The management and administrative functions are being performed by neighborhood volunteers. The O4WP officers are experienced APD police officers with full policing powers while they are providing patrol services for us. The patrol conducts proactive, community based policing: a focus that goes beyond what APD can currently provide due to their limited resources. The patrol’s efforts are to proactively deter crime. In addition, our patrol focuses on “quality of life” issues in our patrol area such as deterring graffiti, loitering, scoping of targets, code violations, etc.In addition, the patrol is there to respond to calls from members during patrol hours. And full members can call or e-mail patrol asking them to “keep an extra eye” on their residence while they are out of town. The patrol could use your support. Please join the patrol and/or become a sponsor – click for membership rates. Join the Old Fourth Ward Patrol Now! Safety means knowing what’s going on and knowing your neighbors – check out these other neighborhood resources!